Image Gallery (14 images) Back to the stories. 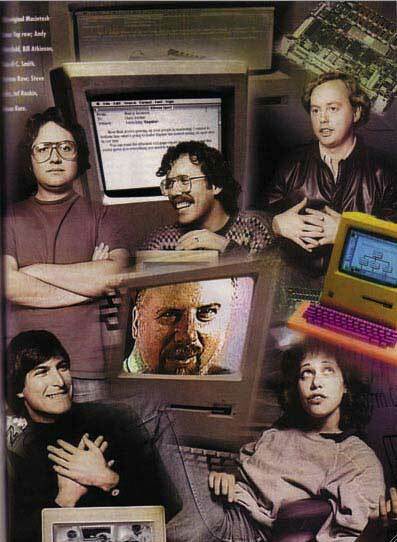 The following collage is from an article by Steven Levy that appeared in the February 1994 issue of Popular Science, commemerating the Macintosh's tenth birthday. It's based on pictures taken by Norman Seiff for Rolling Stone Magazine in January 1984. 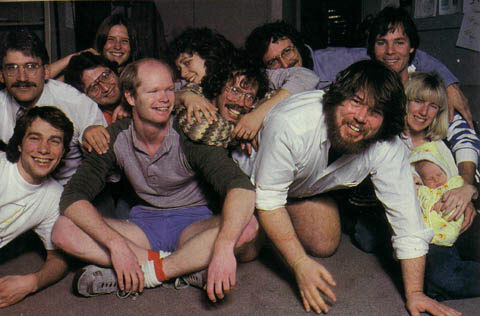 Featuring Andy Hertzfeld, Bill Atkinson, Burrell Smith, Steve Jobs and Susan Kare, with Jef Raskin in the center.